​​Having moved to Austin recently and needing to travel to Ireland, it became apparent that heading to LHR on the British Airways 787 Dreamliner was a distinct possibility. 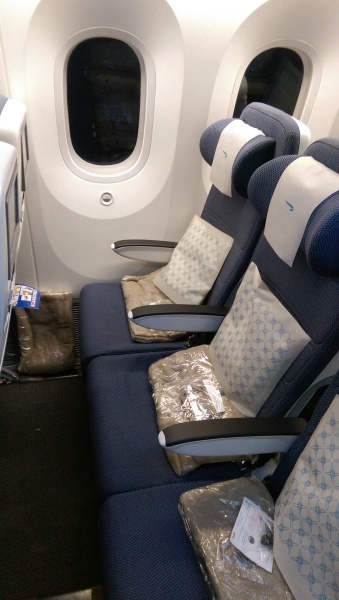 Indeed, it turned out to be the most feasible and an opportunity for us to review BA's "World Traveler" product on their somewhat maligned Dreamliner. Check in at Austin was a breeze. There was no one in the queue so we simply walked up, got the bag weighed and checked and off we went. The ground staff were super-friendly and informed us that the flight was going to be on the lighter side. The boarding process was fine and we made my way to our 35J and K seats. We immediately noticed that the economy section itself is rather small. Once you pass through Business and Premium Economy (World Traveler Plus), the economy section only occupies one compartment. It has a total of 127 seats in 14 rows in a 3-3-3 layout. Due to the curvature of the rear of the aircraft, the last two rows are 2-3-2. 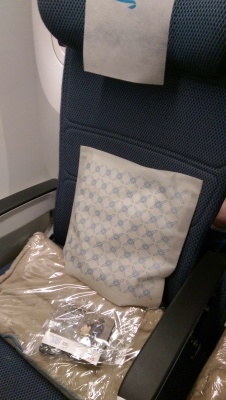 In every seat was a small square pillow, a plastic-wrapped blanket and an amenity satchel with earphones. Settling in our seats, we found the width to be narrow but not as bad as we thought they might be (based on reviews we had read before). We knew that BA were trying to improve the width situation with better designed seats but not sure if this was the result. Immediately I noticed that my foot had limited stretch room due to the entertainment box. 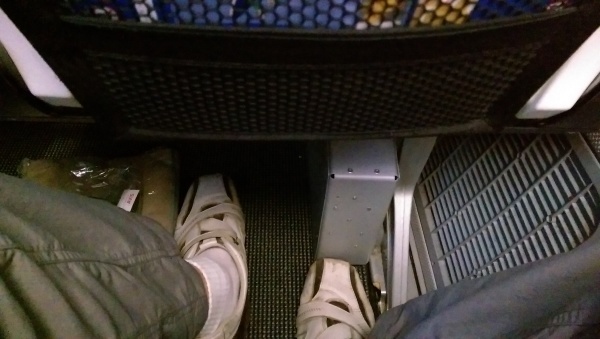 Those with a preference to easily stretch their legs out might want to rethink a K seat on this particular aircraft. For me the trade off for the window seat was sufficient and I did not think about it much for the remainder of the flight. Our initial observation of the larger window also made us feel that it would have been nice had the extended portion been lower to allow for an even better view of the ground. Still, the seat proved to be comfortable in despite of the general width. The row became fully occupied, therefore we were able to experience for ourselves the discomfort of the 3-3-3 layout. With the armrest up, there is enough to move your elbows around, but otherwise it's a tight squeeze. 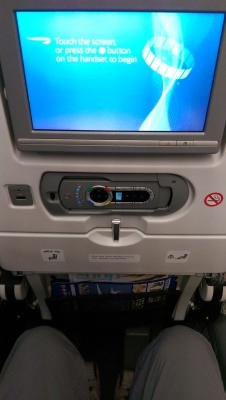 Most economy class seats are like this, but the width of the 787 just makes it that bit more narrow. After a 20 minute delay, the aircraft ascended smoothly into the sky and soon it was time to stretch out and see what the IFE had in store. There was a reasonable selection of the latest movies, as well as a few classics. Plenty of TV shows were also present including a good selection of that lovely British comedy we all love. The system itself was responsive and easy to navigate. My favorite part was the interactive map which was one of the best I'd used. It was highly customizable and had a similarity with Google Maps in the way you could angle and zoom the view. 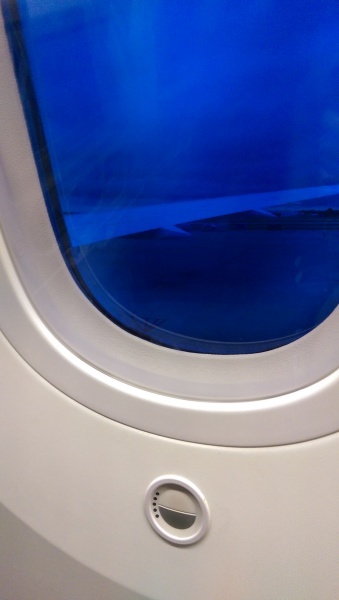 ​​During the flight we managed to test out the window and found it to be very adequate for blocking light and to allow it in fully over 5 settings. The crew only darkened it occasionally and I was in full control for the majority of the flight. Something that did bother us was the lack of air control. There simply is no way to regulate the air. It might be a modern, weight-saving initiative, but we feel it's important to be able to control the flow of air. Another problem was that of the location of the headphone jack. It sits right next to your left elbow so I found myself inadvertently disconnecting it on a number of occasions. 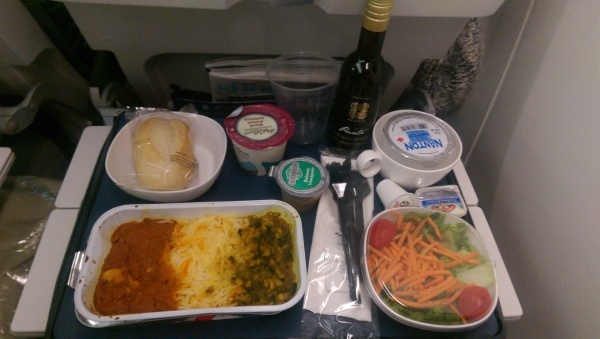 ​​The flight was smooth and capped off with a simple breakfast serving an hour and a half out of London. 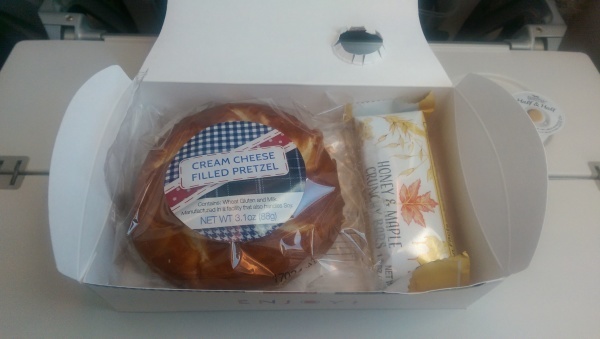 It was a box meal with a cream cheese pretzel and a muesli bar. 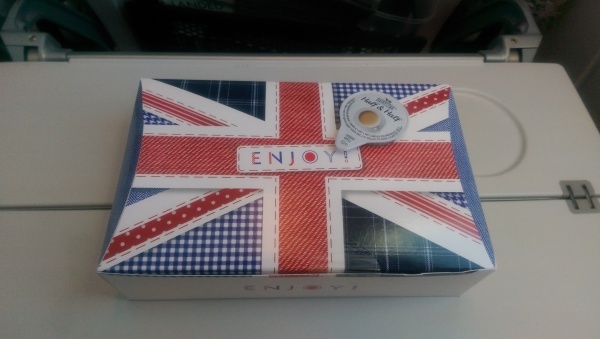 Although tasty, I found myself hungry again during the short transit we had at Heathrow. Descent into Heathrow is never rapid but after a short holding pattern we were on the ground and disembarking shortly after. 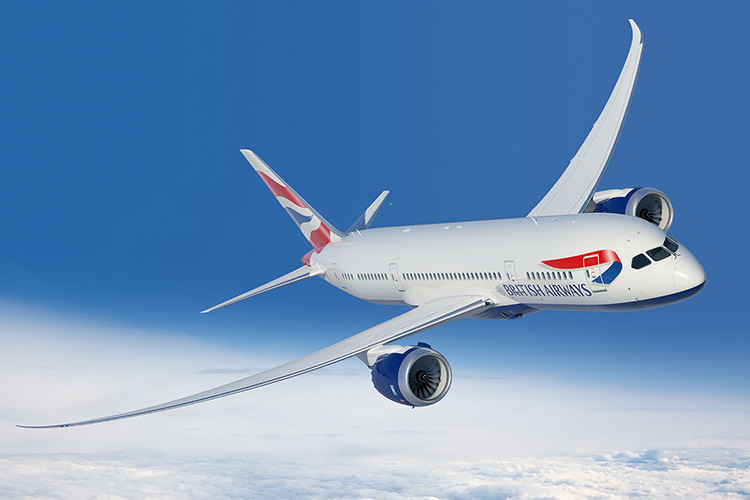 We have to commend British Airways as we found the flight enjoyable despite a few issues with the design of the 787-900. Service was responsive and pleasant, a good selection of entertainment and 2 meal services with a full selection of drinks left us with a favorable impression. For Austinites like us, it's a great option for entry to Europe as Heathrow obviously has all the onward connections one could hope for. Complimentary luggage (becoming a rarity now) gives it extra appeal over connecting through an Eastern seaboard hub with some other airlines. 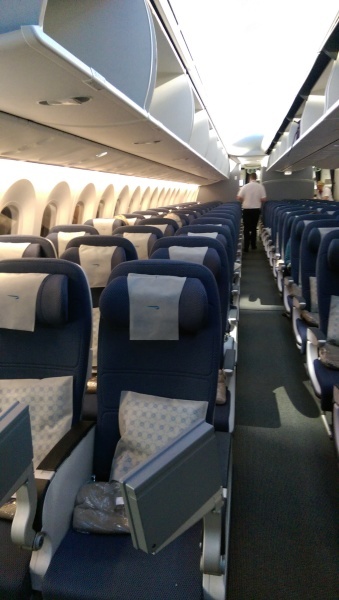 As for the 787-900, it certainly lacks comfort when compared with a larger twin aisle aircraft and the 9.5hr length is about the maximum you would want to endure.